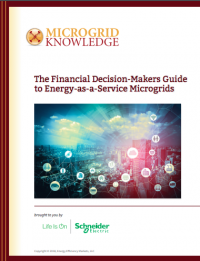 A new special report from Microgrid Knowledge and Schneider Electric outlines the energy-as-a-service (EaaS) model that simplifies microgrid development and ownership for organizations. 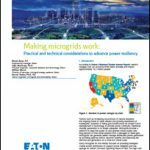 This excerpt explores microgrid drivers, as well as the biggest challenges and obstructions to microgrids. These capabilities are leading to continued growth of microgrid deployments. Microgrids totaling about 3,000 MW are being added this year, a figure expected to reach 16,000 MW annually by 2027, according to a forecast by Navigant Research. This growth comes, in part, because of improving technology costs. Microgrids are 25-30 percent less expensive than in 2014, according to Navigant’s Peter Asmus, author of the study. Microgrid costs vary dramatically based on the needs of their hosts. A simple microgrid for a small business may cost as little as $250,000, while a microgrid for a diverse campus with multiple forms of generation may run into the tens of millions of dollars. Yet, given its many benefits and recent policy and microgrid drivers, the microgrid industry is still small. Navigant had identified just 2,258 microgrid projects worldwide as of fourth quarter 2018. This worries bellwether thinkers who see microgrids as a key security and energy management technology. So in the U.S., lead states are working to boost microgrid adoption through grant programs and favorable rules. California, for example, is distributing $50 million this year alone to jump-start microgrid commercialization. The state also enacted a law in September 2018 requiring that utilities find ways to support microgrid development. Connecticut, Illinois, Massachusetts, New Jersey, New York and other states also have programs and funding underway to boost microgrids. The military is building demonstration microgrids, while academia is showcasing its working microgrids. 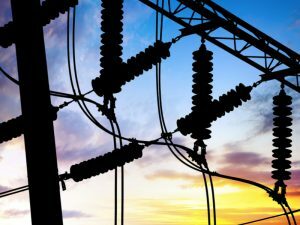 While these efforts are helping to drive the industry forward, a key market obstruction still inhibits many businesses from installing microgrids: fear of risk. Businesses worry, perhaps rightly, that since energy is not their core competency, they are entering an unknown arena by installing on-site supply. They know little about developing an energy project, much less maintaining and operating one. What rules and regulations govern such projects on the local, state and federal level? How do businesses with facilities in several states create a corporate microgrid plan when each state has its own set of energy rules? Is there a way to capture economies of scale? What if a company’s energy needs change over time and it needs to expand the microgrid? Is this possible and how? What financial exposure does the project create? 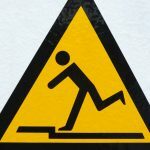 How much capital must the company risk upfront and how can it justify the expenditure? And how can the company guarantee that the microgrid will remain cost competitive over its 20-year, or more, lifespan? Legitimate concerns, they can be summed up in one word: complexity. The next two chapters discuss a solution that makes microgrid development and ownership less complex. One might ask, why doesn’t the local utility take care of the some of the energy problems that microgrids solve? Can’t they increase their investments in energy infrastructure? Utilities are doing so, to some extent. But new large, energy infrastructure projects face formidable obstacles. First, utilities must justify the capital expenditures to state regulators in an era when they are experiencing a flattening of electricity sales. Second, they face increasing opposition from local communities concerned that long transmission lines and large power plants will mar scenic views, drive down property values and increase greenhouse gas emissions. This is another reason why microgrids and distributed energy make sense for today’s businesses. Relatively small and unobtrusive, they fulfill their hosts energy needs in a community-friendly way. Recognizing the value of niche, targeted energy projects, some states are beginning to require that utilities gauge if “non-wires alternatives”— distributed energy resources — are a less expensive alternative when they are considering infrastructure development. This is opening the door to even more microgrids.